Many times our bookcases are overflowing with books we’ve read, want to read, or will never read. It’s time to clear the clutter and use photos and objects along with books to create shelves that make you want to stop and take a closer look. 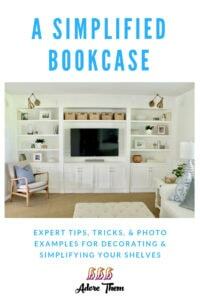 The trend to style a bookcase is common in interior design. Designer shelves are filled with beautifully curated collections that have been freshly purchased. Cut to real life and your shelves are holding memories, beloved books, and trinkets that have been hand made by your children. 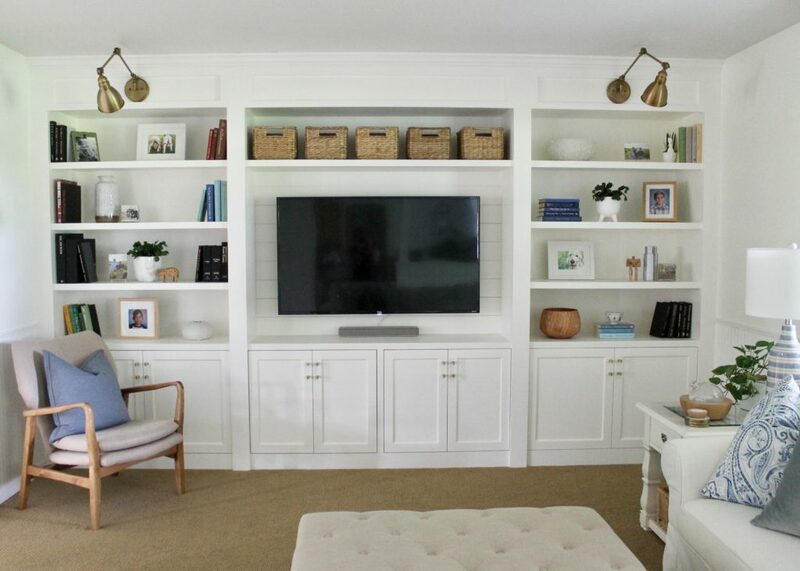 Bookcases can pull double duty, hold your books and look stylish at the same time. The best way to achieve this look is to simplify. 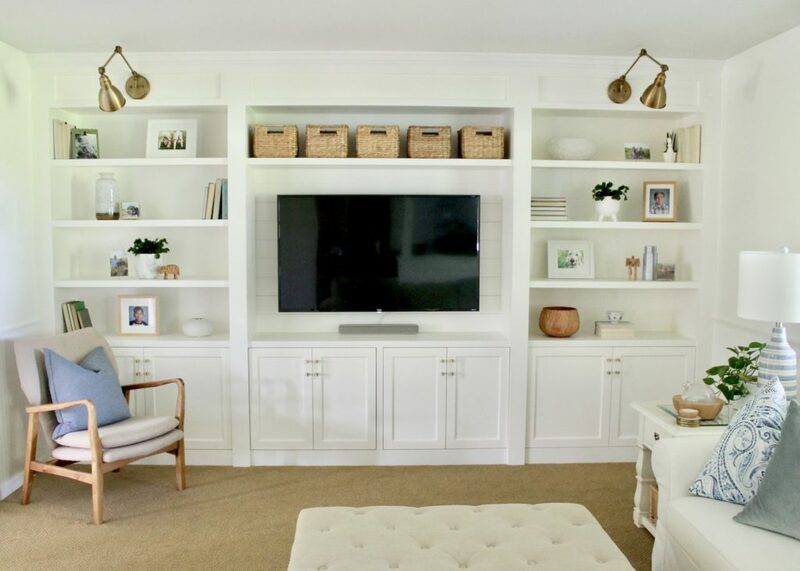 This shelving unit of a family room entertainment center has already received a good dose of simplifying. It’s not wall to wall with books. The baskets on the top shelf are the same and books are gathered by color to help each group read as one. There are objects of similar colors and shapes on each shelf. Items have been grouped by twos or threes. Paperback books have been removed and all the hardback book covers are taken off to show their pretty spines. However, the left side feels very heavy, the chunks of black books are eye catching and not in a good way. It’s overall distracting and nothing of interest is notable. 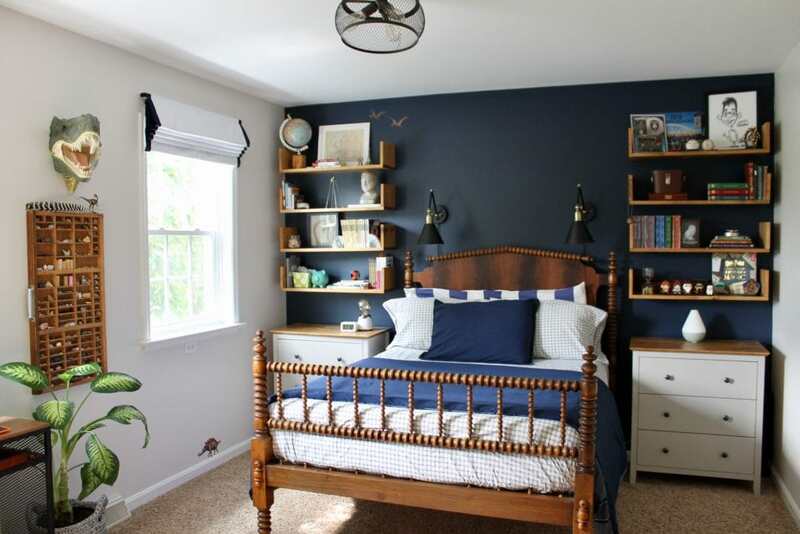 By simplifying the shelves, the room instantly looks and feels lighter. Removing books that have been read, won’t be reread, or will never be read, is the first step. Secondly, and a bit controversial for book lovers, turn books around so that the spines are rear facing. Just this simple act is like a breath of fresh air. No longer feel daunted by all the titles you haven’t read yet. Turn the one book spine forward that is next on your list. 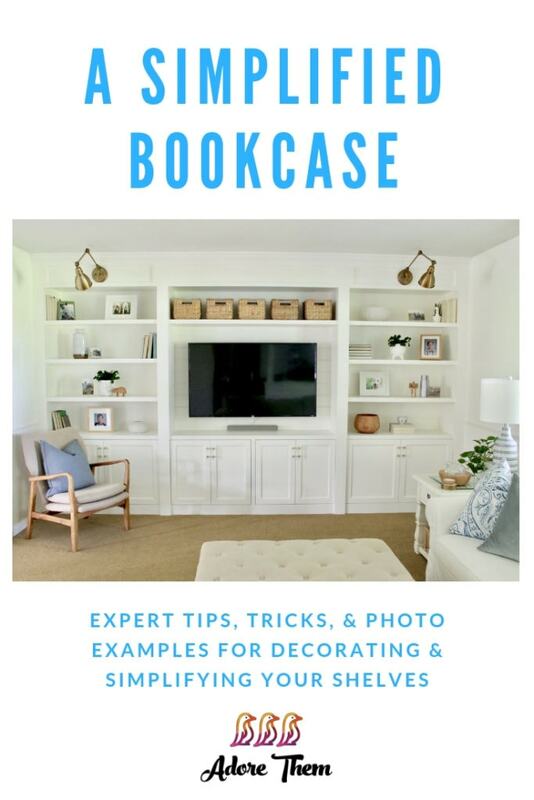 Eyes can now move around the room and land on special moments, photos, art, plants, and treasures, all of which should be included on your bookcase. 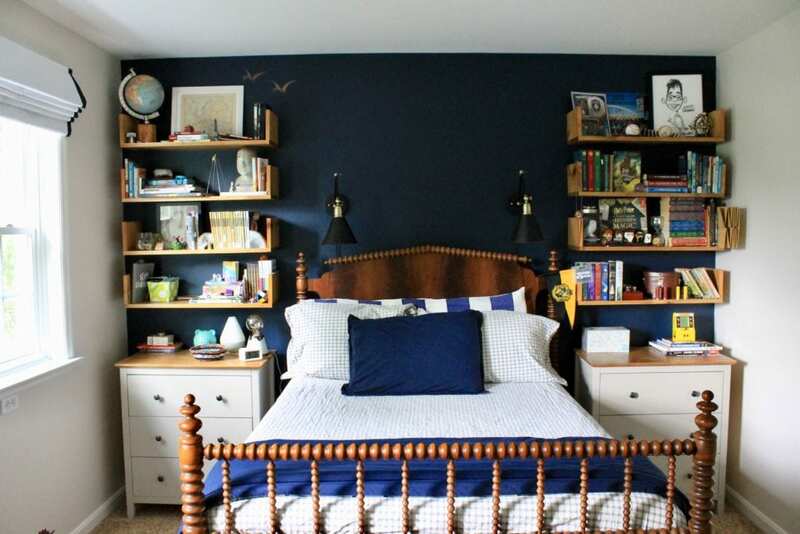 The act of simplifying child’s book shelves can be achieved in much the same way. Talking with children about what they see and feel when they look at their shelves is important. However, what they want to keep and what they have outgrown and can sell or donate can be difficult. Encourage the conversation by explaining that simplifying will allow more space to admire what they love most. This room is actually tidy. However, because the shelves are overflowing it reads as a very big mess. Objects look like they are about to fall off the shelves, or may fall off if one item is removed. Looking at the after photo the whole room feels clean and put together. Some of the shelves were never touched, yet approximately 50% of the items were removed or placed on another shelf. Precious items were kept and displayed. Books and objects were dispersed to help the eye flow around the whole room. Now the shelves feel full of possibilities and encourage looking closer. Take a moment and look at the shelves in your home. How do they make you feel? Are you overwhelmed? Take a breath and remove everything. Start fresh and begin by placing those items that you hold dearest. Move objects around two or three times to find the best landing spot. Add books, photos, art, and plants. Group items in threes by similar color and shape. Now stop and take a photo, how does it look? Repeat the process until you have a space you love. Not only does buying less help you to save more money, but it also saves on clutter and can help ensure order. 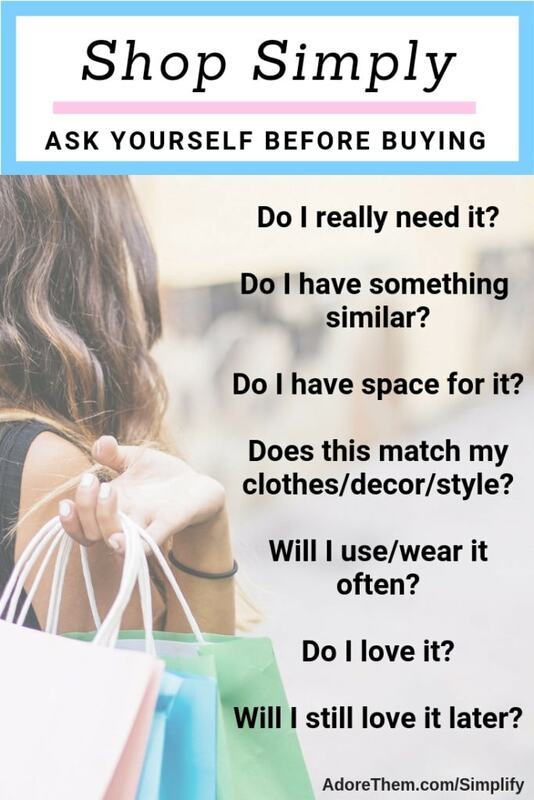 Ask yourself these questions before making a purchase. Some folks say that routines and predictability are boring. That may be true, but boring can be a good thing. 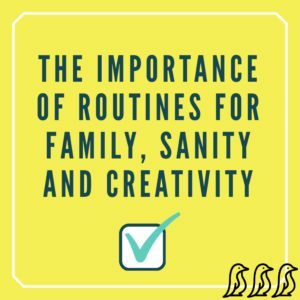 In today’s article, we’re going to explore the benefits of routines for everyone, from toddlers to adults. I’ll reveal a few of my challenges in this area as well. Without routines and structure, life is chaotic. From infancy to old age, we all feel better and function better when there are consistency and predictability in our day. I am a four-percenter. That’s world language teacher code for the small number of us who actually enjoy grammar. Weird, right? So what is it about the grammar? It’s orderly and predictable, with a set of clear rules and boundaries. I sometimes struggle with consistency, so there is comfort in finding it here. Routines have not come easily to me, and I’m not one of those ‘born organized’ people. Sometimes I can be impulsive, avoiding the tasks I don’t want to do. This can backfire, causing bouts of chaos. Of course, this chaos spills over into the rest of my life and my psyche. Procrastination eats up time. My brain becomes cluttered with what I’ve avoided, and there is less room and energy for creative thinking. Now think about your kids. How many times have you heard “It’s boring” from them? They are impulsive, always exploring their world, and at the mercy of their emotions. Of course, they’d rather be playing than sitting at a desk, or with their friends instead of doing chores. The fact is that children need routines and thrive with structure. You know it’s true because you see what happens when they are missing. There is one more critical purpose for routines: they help children (and all humans) adjust to change. We humans cling to the familiar. The human brain is programmed to stay with what it knows and resists change. 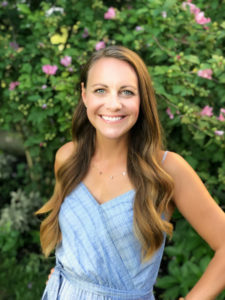 The unknown is frightening… especially for children, who lack the knowledge and real-world experience to anticipate what that change really means. – Children’s fear of the unknown includes everything from a suspicious new vegetable to a major change in their life. – Children, like the rest of us, handle change best if it’s expected and occurs in the context of a familiar routine. 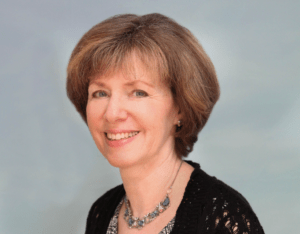 – Unpredictable changes erode this sense of safety and mastery and leave the child feeling anxious and less able to cope with the vicissitudes of life. 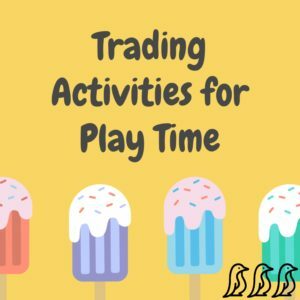 – Structure and routines teach kids how to constructively control themselves and their environments. 1. Routines eliminate power struggles, because you aren’t bossing them around. 2. Routines help kids cooperate. We all know what comes next and get fair warning for transitions. 4. Kids learn the concept of ‘looking forward” to things they enjoy. 5. Regular routines help kids get on a schedule. 7. Schedules help parents maintain consistency in expectations. If everything is a fight, parents end up settling and changing rules and expectations. Structure doesn’t have to be rigid. These routines become the support that makes life easier, providing security and confidence to handle the known and the unexpected. Your smartphone is supposed to be a handy resource to enhance your life, not an annoyance that distracts you from what’s important! 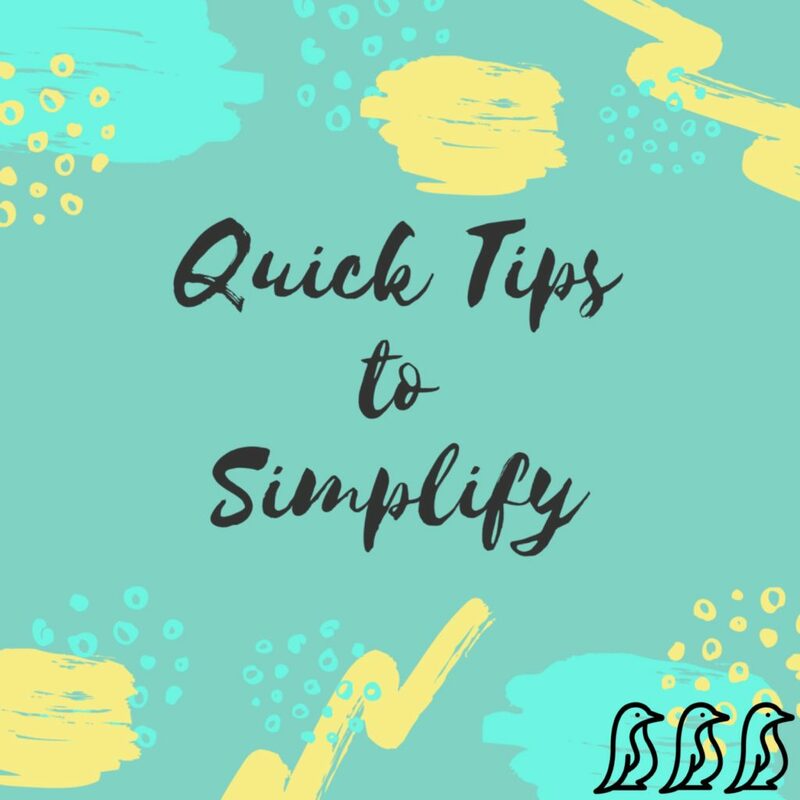 In this video, Shari talks about the various ways that you can clean out & organize your smartphone so that it doesn’t stress you out. Learn to say “No” more often, and learn that not every “No” needs an explanation. Look long-term at your calendar, as opposed to just day/hour, when making commitments. 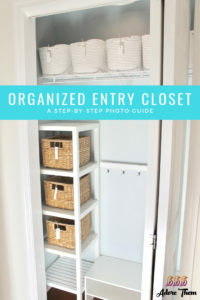 Keep organized chore lists, even for yourself. Schedule cleaning and housework days. 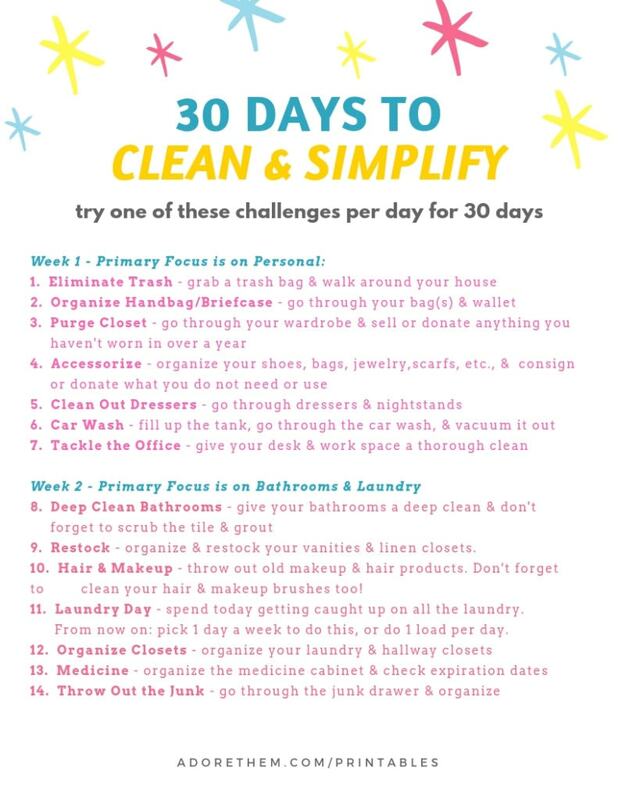 Try doing the bare minimum for a week. There will still clearly be things that you have to do, but you will realize where your priorities lie. Then you can work on letting those smaller busy-making items go. Delegate responsibilities. You don’t have to handle everything on your own. Surround yourself with others that have a similar mindset. People who tend to over-schedule will make you feel like you should be scheduling more too. Don’t do things just because you think you are supposed to. Take the step back & truly think about your reasons for participating in certain activities, events, and other stressors. 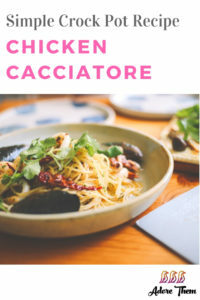 Make crockpot meals as much as possible. Limit activities and family outings to only a few days a week. 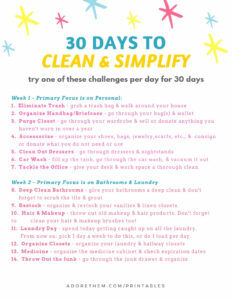 Allow kids to help you with daily chores. It doesn’t always have to be for money, and it will give you more quality time together, examples – setting table, putting away laundry, etc. Plan meals by the month. Often times little toys and accessories for our children just equals more little toys and accessories for us to clean up. 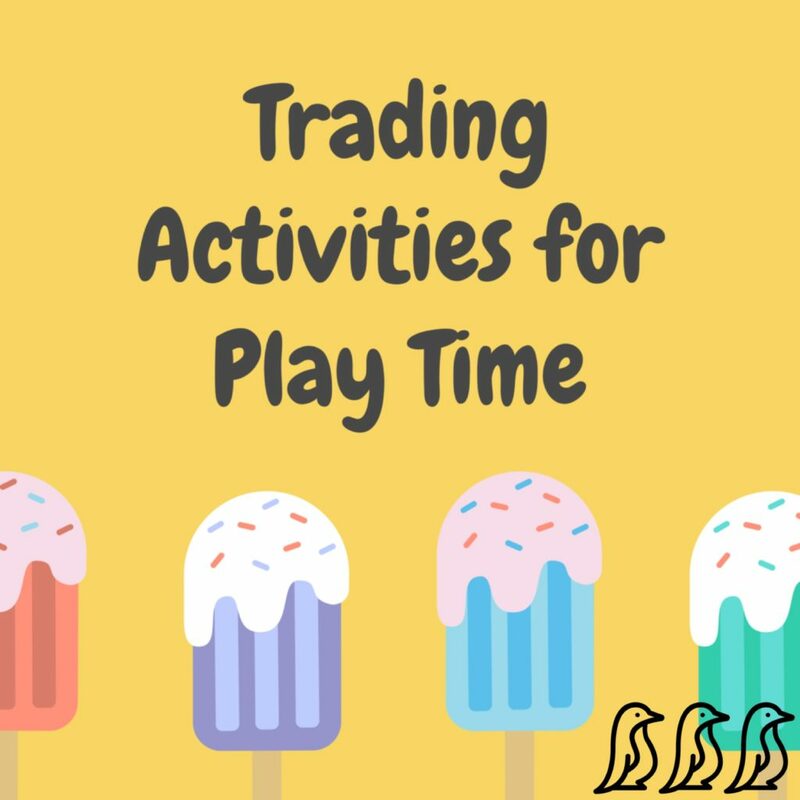 Consider instead saving money longer to buy a larger toy, or plan for a special treat/event, instead of so many little items/things. Set up a Google Calendar, or use an app that allows your whole family to work off of the same schedule. 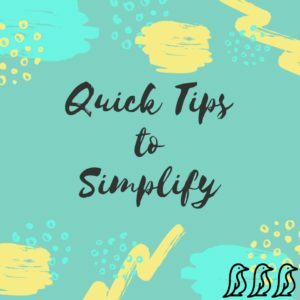 Listen to podcasts and read books that encourage minimalism and organization for additional tips.